What Does Song of Solomon 2:8 Mean? "Listen! My beloved! 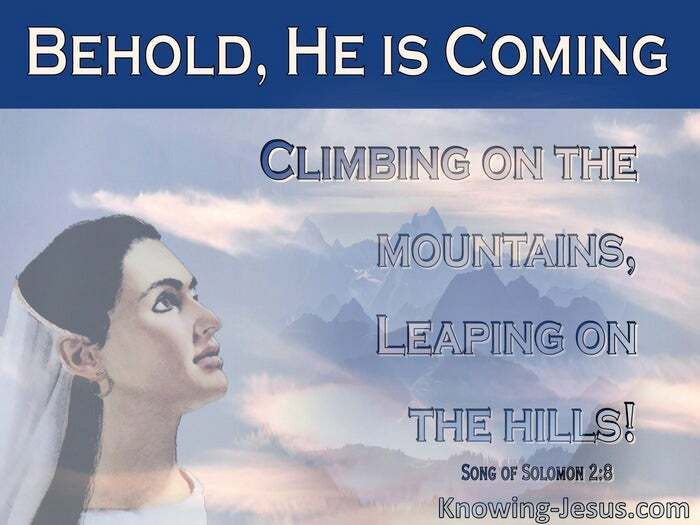 Behold, he is coming, Climbing on the mountains, Leaping on the hills! 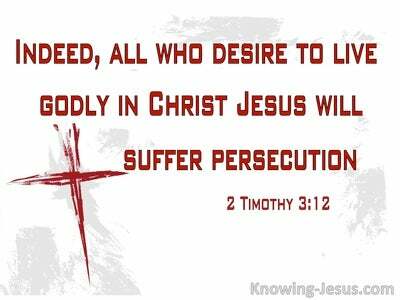 Like so many of Scripture's love stories we discover a Gentile a bride who become espoused to her Jewish bridegroom. Abraham with Sarah; Isaac with Rebekah; Jacob with Rachel; Boaz with Ruth and the Shulamite woman with her beloved shepherd, are all precursors of Christ and the Church. "Listen!" we read expectantly as the love-story begins to unfold, "Listen! My beloved! 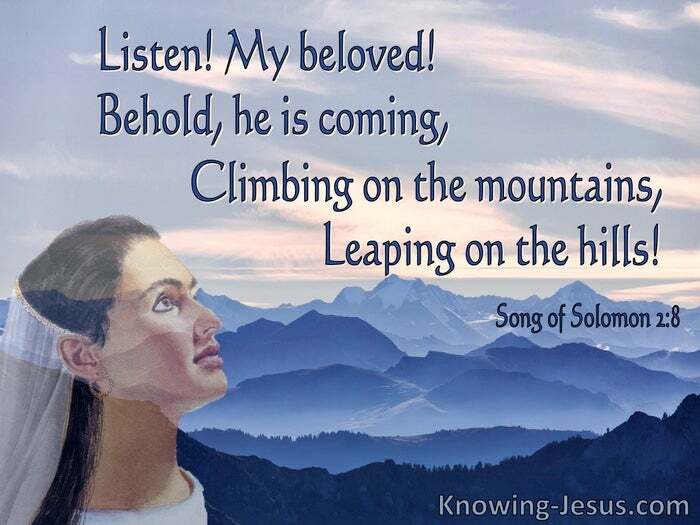 Behold, he is coming, Climbing on the mountains, Leaping on the hills! Here in chapter 2 we find the beautiful, Shulamite woman reminiscing about a visit from her shepherd-lover, whom she adores so dearly. She recalled that to be with him was like being in a great banqueting hall, where his banner of love would surround and overspread her. She is describing his many attributes to the daughters of Jerusalem - likening him to a graceful gazelle who comes to her - "climbing on the mountain and leaping over the hills!" There is no doubt of the intensity and depth of love this young couple have for one another as she excitedly describes his excellent qualities and manly attributes. She remembers him approaching her parents' home, on one occasion, enticing her to go to him and to commune together in the freshness of the lovely, spring countryside. There is much that has delighted generations of Christians who have recognised, in this narrative, Christ's great love for the Church, but there are others who view this from the perspective of Israel. Some consider it to describe Israel's infidelities. They cast king Solomon as apostate Israel who has gone after many false gods and whose marital infidelity continues, through centuries of time, as he woos another young Shulamite virgin. Two further interpretation portrays the Shulamite woman as the little faithful remnant of Israel, who stays true to her first love - the true Shepherd of Israel. The former portrays Solomon as a type of Christ, pursuing His gentile bride, (i.e. the other sheep He has from a different sheepfold) while the latter pictures Jesus, as the absent Shepherd of Israel, who will one day return to the faithful little remnant of the lost sheep of the House of Israel. Whichever interpretation is preferred, there are many lessons for both Israel and the Church to reflect upon, about God's love for His people, Christ's love for the Church and the importance of fidelity in our own, Christian marriages. There are reminders for the Church that despite His long absence, the Lord Jesus - the Good Shepherd of the sheep, is coming soon to take us to be with Himself and we should yearn for His return as passionately as the Shulamite woman desires her shepherd. 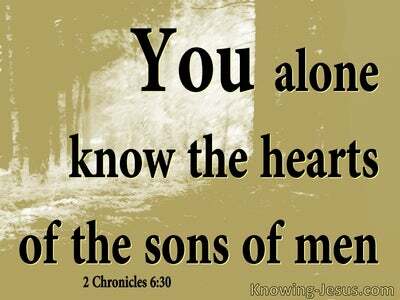 There are also reminders for Israel to turn from their idolatry, repent of their past sins and trust in God - and Jesus Christ, the true Shepherd of Israel, Whom He has sent. 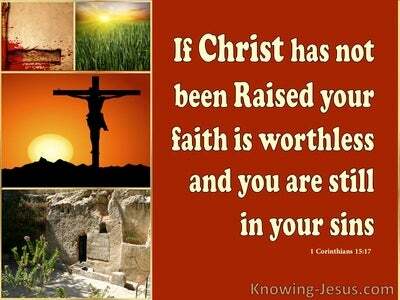 Heavenly Father, thank You for the beautiful love-story between the Shulamite woman and the Shepherd-King of Israel. Thank You for the many lessons we can learn and the importance of keeping our first-love alive and watching, expectantly and excitedly for His soon return. Thank You that there has always been a little remnant of believers (the Israel of God), who down through centuries of time have trusted Your word and remained faithful to the truth of the glorious gospel of God. We praise Your name that we are positioned in Christ and protected by His love, and thank You that Your promises to Israel remain faithful and true... and that He will one day spread His banner of love over them, when they recognise Him as their Shepherd-King - their God and their Saviour. 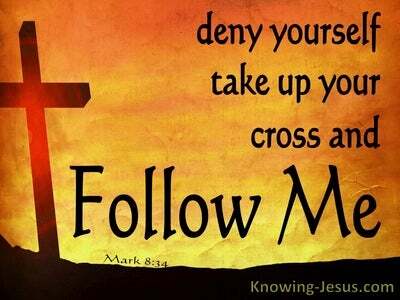 We offer these prayers in the matchless name of Jesus Christ, our Shepherd and Saviour, AMEN.